The most common application of solar thermal systems is the heating of water for domestic use. 60–200 m2 collector area for an apartment house can cover up to 50% of the annually needed energy used for heating of water for bathroom and kitchen use. Savosolar’s large collectors are designed especially for the needs of buildings with large thermal energy consumption and which have limited space available, such as hotels, schools, apartment houses, nursing homes and swimming halls. 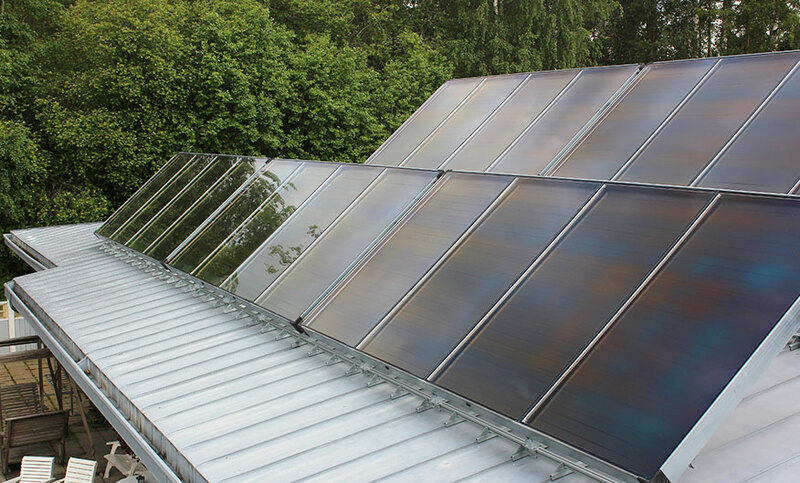 Solar thermal heating can also be used for space heating of the building. This offers even more financial savings and further reduction of your carbon footprint, since it will strongly reduce the use of alternative fuel based technologies. You may then look forward to fuel and emission free energy production for decades. During this time, your energy cost will also be very low and stable since the sun’s rays are free of charge. Thanks to the high efficiency of Savosolar’s collectors, they offer the highest savings of both money and CO2 emission over the course of the lifetime of the system – typically 25+ years.